Ministering to those crying out to be free! 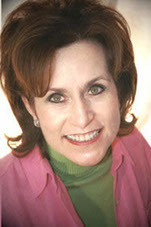 Norma Johnson is the founder and leader of Beyond Restoration Ministries. She has ministered in various positions for over 30 years. Starting with 14 years of children's ministry all the way to an apostolic office. She works with market place leaders to move them to greater influence in their mountain. Norma's passion is seeing lives transformed by an intimate relationship with Lord Jesus. These ministries are part of what she does because of her love for Jesus and people. Her desire to see people free to become a powerful influence on earth for the Kingdom of God.